Can Custom Fit Golf Clubs Really Help Your Swing? Lately we have been testing a very select group of people using Trackman and a K-Vest which is a human motion learning system worn by the golfer while they swing the club. Dr. Lynn Beasley and myself want to see how a change in equipment relates not only to their ball flight but also to their Bio Mechanics during their swing. A properly fit golf club enables the golfer to hit good shots more consistently. Surprised? No we weren’t either. However, to have data from another source that proves beyond a shadow of a doubt that this is simply true is great news. Golfers are truly able to use their bodies correctly which will not only allow them to hit golf shots better but they will be less susceptible to injury while doing it. Last week we were working with a gentleman who is a very good player with a strong swing. He was previously fit into golf clubs which had lighter, softer shafts simply because he is 69 years old. With these shafts he has been having trouble with his distance control. His irons were of the stronger lofted variety. I had him test a more normal lofted iron with a heavier, stiffer, steel shaft and the results were instantly better. Not only did he not lose any distance over the “distance” irons but his consistency returned along with the feeling of knowing where the golf club is again. We tried this same test in his driver using the NovaTech 8000 and he was able to get back the 30 yards he had lost when he was changed to a lighter weight shaft. That was just the Trackman results. We had him hit on a force plate (a device used to measure pressure on the ground) while wearing the K-Vest. The first thing we noticed was that he instantly improved his transition from backswing to down swing. Prior to making the change all of his weight was moving out towards his toes. With the new KZG clubs he was now using the ground correctly he also began to start rotating his body through the shot and finish with more balance in his follow through. More testing is needed and we will continue to work with new innovative products, so keep your eyes open as I will be posting our results here. 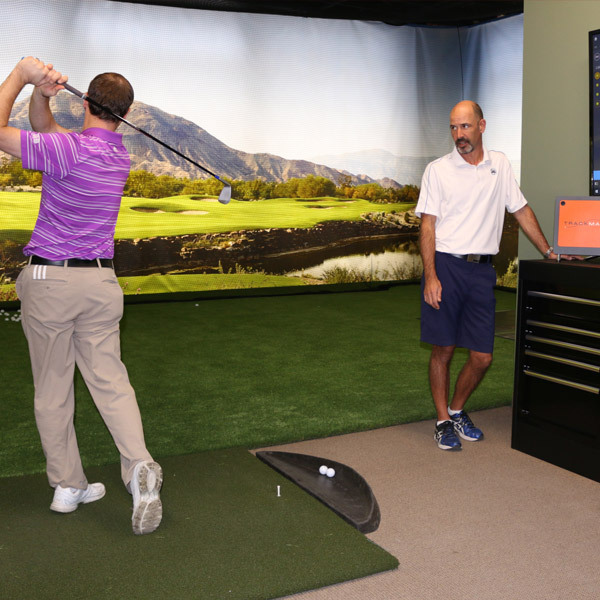 At the KZG Performance Center we are always looking for ways to stay on top of the game and improve our performance and knowledge, the same as you are always looking for ways to improve yours. When you come to us to be fit for your golf clubs you can rest assured that you will receive nothing but the absolute best in club fitting no matter what your ability level.